McBASTARD'S MAUSOLEUM: No one is safe when AMC’s hit television series Fear the Walking Dead The Complete Third Season comes to Blu-ray (plus Digital HD) and DVD on March 13th! 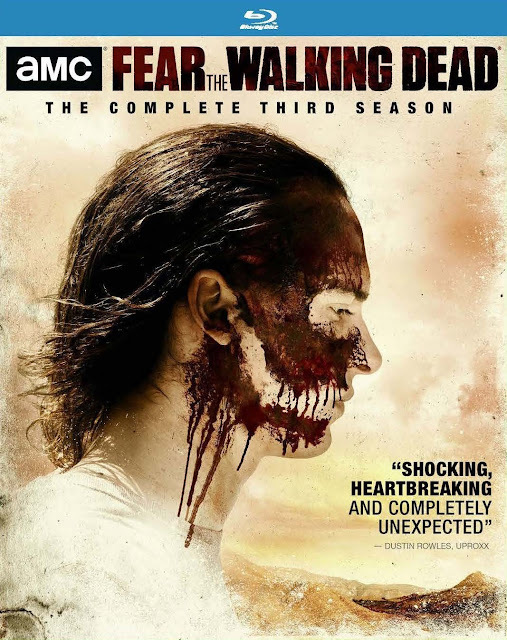 No one is safe when AMC’s hit television series Fear the Walking Dead The Complete Third Season comes to Blu-ray (plus Digital HD) and DVD on March 13th! Title Copyright: Fear the Walking Dead© 2017 AMC Film Holdings LLC. Artwork and Supplementary Materials are TM, ® and © 2017 AMC Network Entertainment LLC. All Rights Reserved. Package Design © 2018 Lions Gate Entertainment Inc. All Rights Reserved.